Supreme Engineers was established in the year 1985. We are the leading OEM Manufacturer of Pepper, Areca Nut & Coffee and also Coffee Roasting Machines, Coffee Pulping Machines. Supreme Engineers is a 30 year old company involved in designing, fabricating, installing and servicing of post harvest processing machinery in the Indian plantation sector and is based in the plantation district of Chickmagalur in (Karnataka) South India. 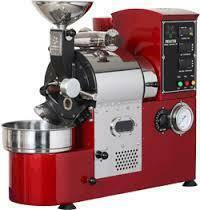 Supreme Engineers cater to the post harvest processing requirements of Coffee, Arecanut and Pepper plantations. Supreme Engineers have constantly incorporated new technology and innovative designs in the manufacture of post harvest processing machinery. The range of efficient, cost effective space saving designs, in post harvest processing of Coffee, Arecanut and Pepper has been possible, not only due to R & D and extensive field trials, but by also incorporating suggestions from technical minded plantation owners, managers and the planting community as a whole. Today, Supreme Engineers has a well established name and is recognized as a reliable and trust worthy supplier of a wide range of machinery, suitable for post harvest processing of Coffee, Arecanut and Pepper. Customising of processing machinery to suit different requirements is one of the many services rendered by Supreme Engineers. Affordable, cost effective, high quality and reliable machinery and excellent service has resulted in the Supreme Engineers being a preferred supplier to the numerous plantations in the Karnataka, Andhra Pradesh, Tamil Nadu, Kerala, Orissa, Assam and the Coffee Board of India. Supreme Engineers visualize themselves as an indispensable link in helping the progressive and enlightened growers to process their plantation produce to very high international standards to meet the consumers demand for uncompromising quality.